Lay one rolled pizza dough over the ice cube tray and using your fingers, gently push the dough into each of the wells. Cover the ice cube tray with the second piece of rolled pizza dough and use a rolling pin to seal the dough together. Remove the excess dough. Put the ice cube tray in the fridge for 10 minutes, then turn out the pizza cubes and separate them with a knife. 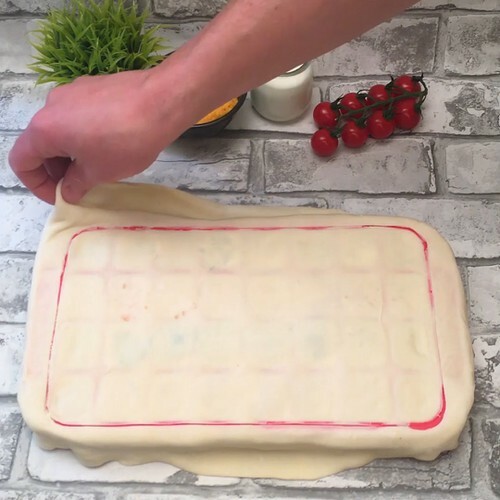 Arrange the pizza cubes on the baking tray lined with baking paper, and bake for 20 minutes at 180°C. Serve with tomato sauce.